Vending machines, useful but mundane? 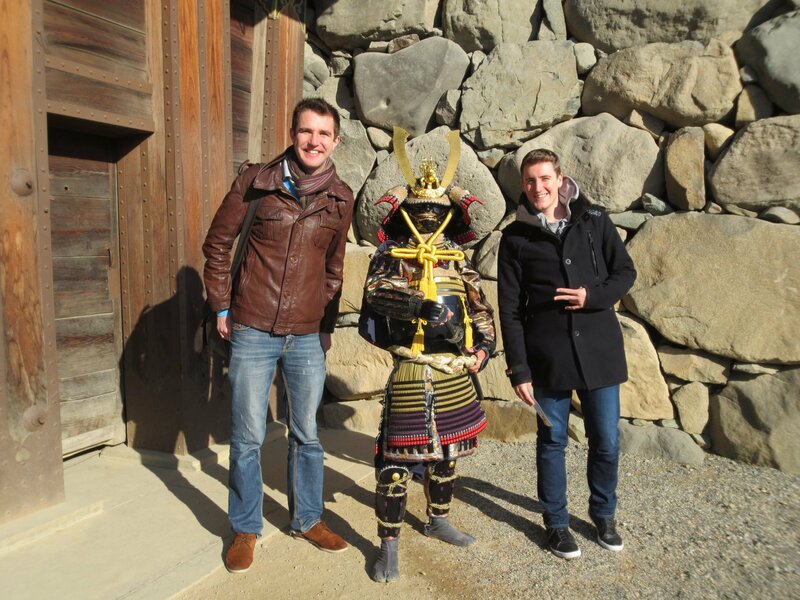 In Japan, tour leader Steve Parker insists they’re a tourist attraction in their own right. Japan has a reputation as a convenience consumer society; there is perhaps no better example of this than the country’s vending machines or jidou hanbaiki. I’m showing my age no doubt, but my childhood memories of vending machines in the UK were limited to public swimming pools or sports centres. You would have to physically and verbally assault them to release the bag of crisps or chocolate bar you ordered with your well-earned pocket money. It’s a different matter in Tokyo today. The truth is, there are several million vending machines, many in unexpected places. There is one around almost every city street corner, or within a stone’s throw of every rural rice paddy. There’s even one at Mount Fuji’s highest point. Keeping 126 million people’s thirsts quenched is no mean feat, and thousands of people work tirelessly to keep stock levels topped up. These unsung heroes in Tokyo have responsibility for up to 40 machines each in a given area of the city. Whether the midst of winter or the steamy summer months, they ensure that there is never a vending machine out of stock or out of order. 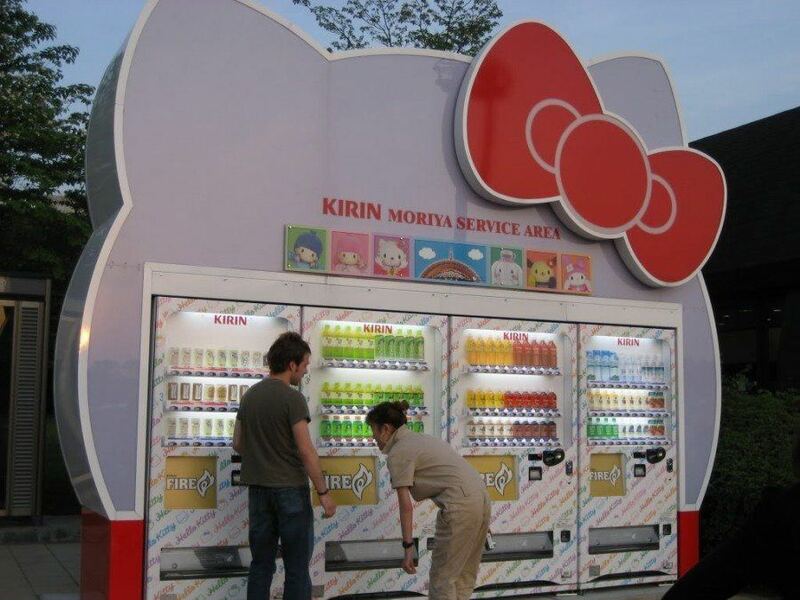 If you can’t shake your perceptions, here are 10 features of the humble vending machine in Japan. You’re more likely to find canned coffee, Japanese teas in plastic bottles, flavoured waters and hangover drinks than Western drinks such as Coke, Sprite and Fanta. While Japanese thirst for popular Western soda is on the rise, less sweet rivals still reign supreme. Low consumption of classic soft drinks means a relatively low intake of corn syrup – said to be a contributing factor to the low Japanese levels of obesity… for the time being. Bizarrely, the face of US actor, Tommy Lee Jones, is often plastered on the front of coffee vending machines. Somehow, in a real-life parody of Bill Murray’s whisky promoting character in Lost in Translation, Jones has long been a poster boy of Boss Coffee. If you ask many a Japanese who he is, the face will be familiar, but few know his name! Coffee vending machines with video entertainment are often found in service areas. These fabulous machines give an array of coffee bean, sugar and milk options, falling just short of asking if you want your coffee in a mug or a paper cup. They produce an impressive cup of coffee, but just in case you get bored whilst waiting for your carefully selected brew, the machine proceeds to show you the live coffee making process from within its deeper chambers. Touch panel machines are the latest generation. They aren’t as widely available outside of big cities but can often found on station platforms around the Tokyo. They have seasonal CG displays such as pumpkins and “Happy Halloween” messages in autumn, or cherry blossom designs in spring, and often come with TV-like commercials. If you need to know today’s weather (as if that will influence your impulsive need for a drink), the forecast for the day is displayed for your convenience. Finally, product profiles ensure that even the most earnest of beverage purchasers can find the ultimate drink. After all, drink description, volume, calorie count and price are all good things to know, these machines should be the first to be introduced on the moon! Beyond the standard machines, others sell a remarkable array of products: tofu, shirts, bananas, confectionery, newspapers, books, cup noodles, hot chicken and chips… there are even “lucky dip” vending machines, where 1000 yen buys you who knows what? When I first lived in Japan some 15 years ago, rather than pop into the local convenience store, I used to buy beer or flavoured Japanese vodka from a vending machine on the street below my apartment. Although these have now all but disappeared, you can still find the occasional street booze vendor (ID required), although most alcohol machines are now found (with no proof of age needed!) in hotels. Vending machines in Japan always work and give change, and you can buy from many of them using IC transport cards, such as Suica or Pasmo. As with most technology in Japan, quality, reliability and maintenance is a given. You will have had to majorly insult the Shinto god of vending machines to find one that doesn’t cooperate with your consumer cravings. You can use notes (bills) or coins, save for 1-and 5-yen pieces, and they will always reliably give change. Now that’s convenience! I always thought that hot corn soup in a can from a machine was a weird one, but the Japanese believe that an effective hangover cure can be found in a hit of clam and fermented soybean soup. The theory has become so widespread that this unappealing canned drink made it onto the vending machine shelf. Suffice to say, I have not had a heinous enough hangover, nor do I want to try it for the purposes of blog research. I’ll leave the taste to your imagination! The same machine will sell you tsumetai (cold drinks), as shown with a blue strip or a snowflake icon, as atakai (hot beverages), indicated by a red flame icon. Hot chocolate, coffee, soups and vitamin lemon drinks for cold sufferers are all just a button away. While I’ve listed 10, there are endless quirky features. The vending machine may not be a beacon of quality, but it is a staple of Japanese convenience society. No visitor or resident can avoid the draw of what has become, internationally, a cultural icon of the Land of the Rising Sun. Surely, World Heritage status beckons! 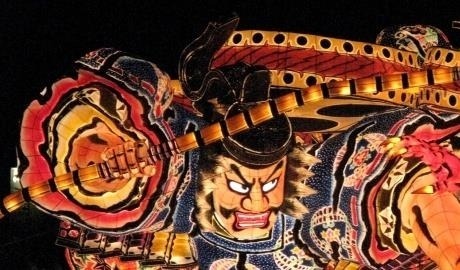 To see more cultural curiosities in Japan, get in touch with our team to book your trip!